Listen to episode 291 now! 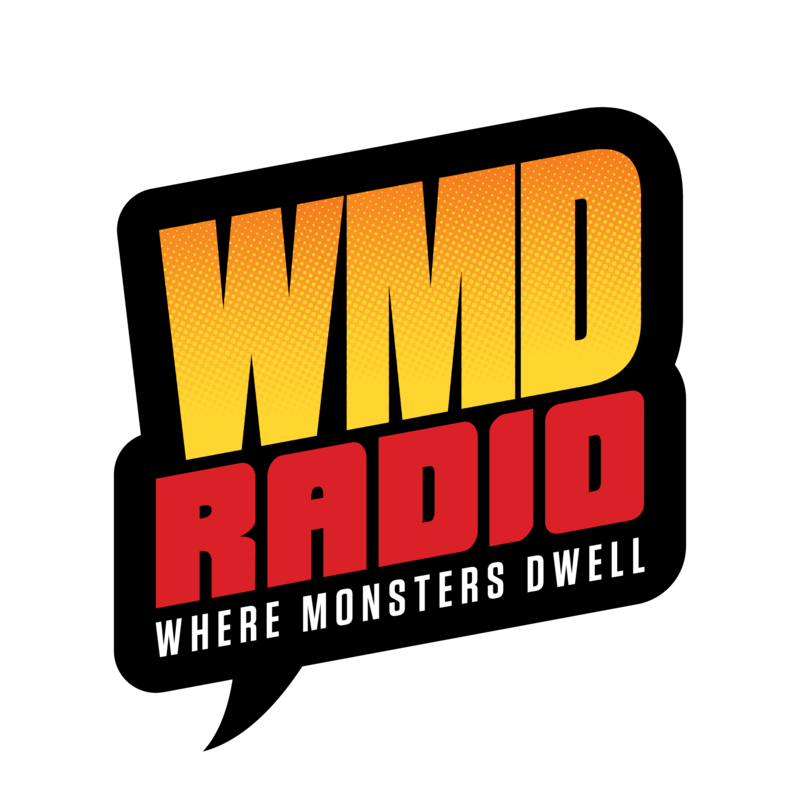 This week on Where Monsters Dwell, we’re welcoming back writer/artist and Senior Monster Movie Correspondent; Dan Brereton to the Monster Cave. 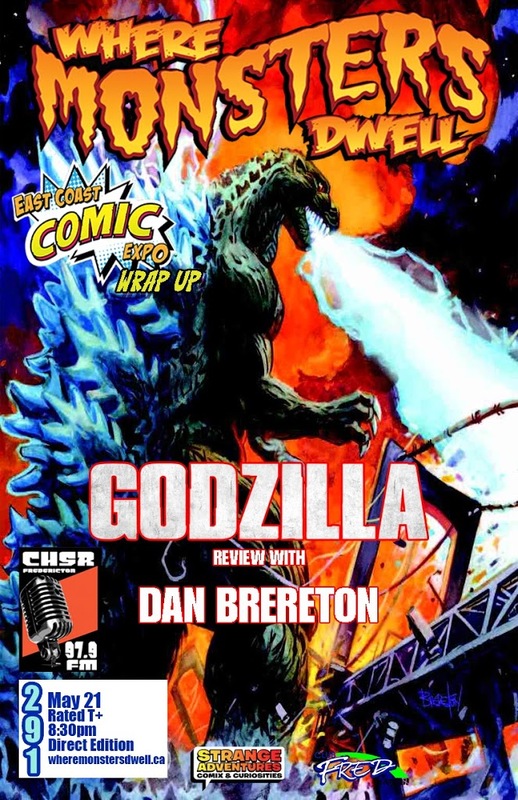 Dan is going to help us review Godzilla which just opened last week and we may get to talk to him about what’s new with him too. We’ll also be reviewing the latest episode of Game of Thrones which was both creepy and awesome. 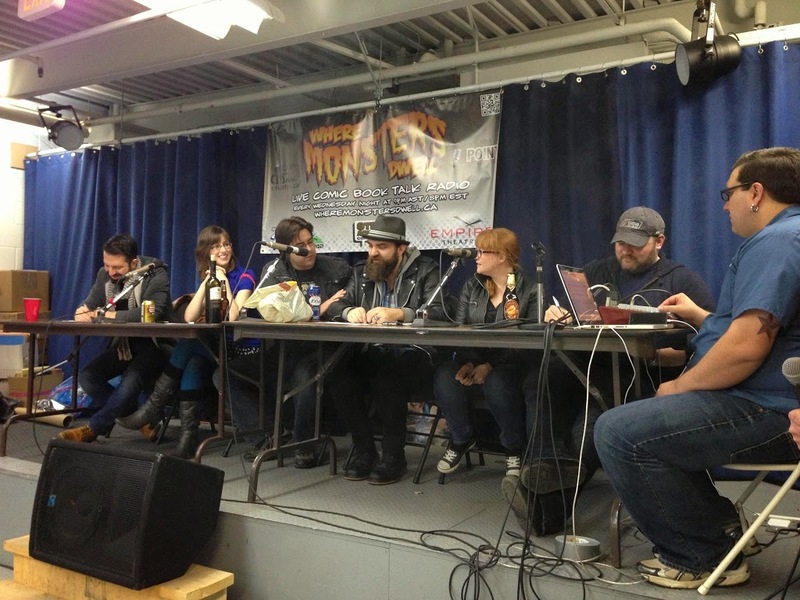 Plus, this past weekend was the second annual East Coast Comic Expo! We were there and we’ll be sharing our thoughts on this event in our second annual ECCE Wrap Up. Plus, this weekend is the second annual East Coast Comic Expo! We’re big fans and supporters of this event so we’re very excited to be attending and talking to all of their great guests. As always, we welcome you to participate in the show. If you have questions, comments, or complaints for either us or Bob you can ask them by posting in our Facebook group or by calling us at 506-452-6056. Listen to episode 288 now! This week on Where Monsters Dwell, we’re going to be talking to writer Ross May. You’d know Ross’ work from Tales of the TMNT and his new creator owned book Devil Dealers. Plus it’s Free Comic Book Day this Saturday and Star Wars Day on Sunday so of course we’ll also talk about recent news in the world of Star Wars as well as the worlds of Game of Thrones, and Agents of S.H.I.E.L.D. As always, we welcome you to participate in the show. If you have questions or comments for Ross you can ask them by posting in our Facebook group or by calling us at 506-452-6056. Listen to episode 287 now! 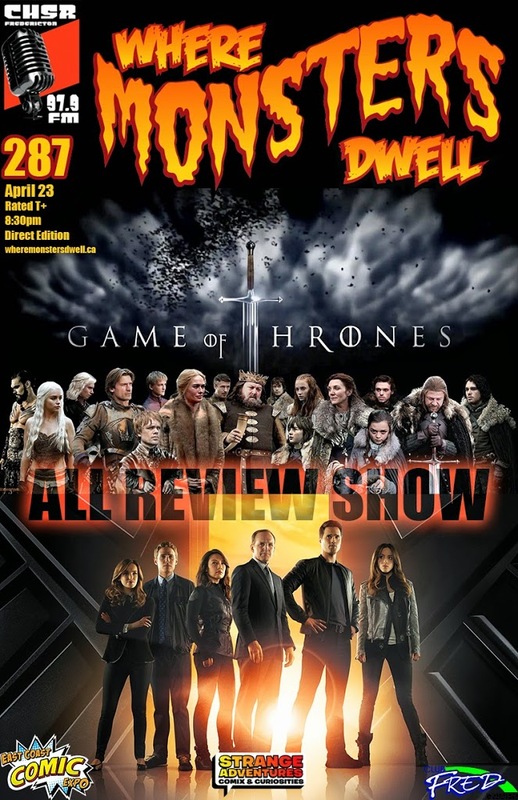 This week on Where Monsters Dwell, we’re going to be reviewing some recent events in comic books and pop culture including the most recent episodes of Game of Thrones and Agents of S.H.I.E.L.D. As always, we welcome you to participate in the show. If you have questions or comments for us you can ask them by posting in our Facebook group or by calling us at 506-452-6056.